This year's Mobile World Congress could be another interesting year for wearable tech - and that doesn't have to mean smartwatches and nothing else. We could see hearables, VR and smart home launches at the show which kicks off in Barcelona with a press day on Sunday 21 February. We will be at MWC reporting live, bringing you hands on impressions with the latest smartwatches, sports tech and VR headsets as well as interviews and the biggest trends from the show. Sony is reportedly working on a tiny, Bluetooth headset i.e. a Moto Hint rival. If true, that's no surprise because since the start of 2016, we've heard nothing but hearable rumours out of Samsung, Google and Apple too. There's no pics yet from @evleaks so we can't be sure that Sony has a smart in-ear device prepped for MWC but following its experiments with the Smart B-Trainer biometric headphones and growing interest in the ear, it would make sense for Sony to connect its earbuds. We haven't heard much in the way of Sony SmartWatch 4 rumours, though we could see a surprise launch running the Qualcomm Snapdragon Wear 2100 as it has been 18 months since the SmartWatch 3 launched. There are a few stories floating around that Sony is working on an Xperia VR headset to rival the Gear VR too so we could see details of this emerge. More likely to big news on the stand is Sony's continuing focus on the smart home with devices like its Multifunctional Light - MWC is known as an Internet of Things show as well as mobile and wearables, though CES may have overshadowed it in this respect. Check back: Sony's MWC press conference is at 8.30am CET/ 7.30am GMT on Monday 22 February. Samsung has been teasing Gear VR news for MWC with its snippet of a video. This could be that a free Gear VR headset will ship with every Samsung Galaxy S7 and S7 Edge (also expected to be announced) or consist of apps, games and experience announcements. Don't forget the rumoured Gear VR 360 either - we might see Samsung launch its own accessible, 360-degree camera to allow users to create their own footage to view on the mobile VR headset. Samsung Creative Lab spin off Salted Venture is bringing its IOFIT smart shoes to the show. Plus, on a completely different note, we've recently found out that Samsung is also working on a hearable called - incredibly - Earcle. This might turn up at MWC. Check back: Samsung's MWC press conference is at 7pm CET/ 6pm GMT on Sunday 12 February. The LG 360 VR is tipped to be announced at MWC as a genuine rival to the Gear VR, possibly with positional tracking, which could mean that both Sony and LG have had the same idea. To be fair, LG has already brought out its own Cardboard 'headset' for the G3 but this would be a serious investment in the world of VR alongside the usual new smartphones. 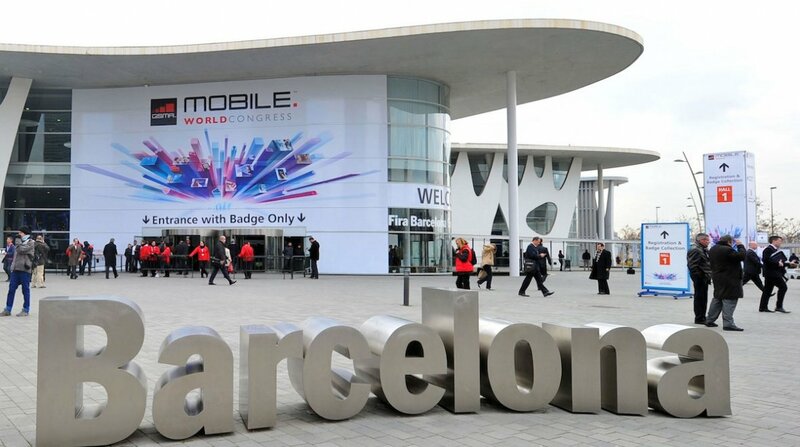 Check back: LG's MWC press conference is at 14.00 CET/ 13.00 GMT on Sunday 21 February. New Android Wear watches from Huawei? So Qualcomm just announced its new Snapdragon Wear 2100 processor which will improve smartwatch battery life by 25%. At the end of the release Qualcomm noted that "numerous wearables powered by the Snapdragon Wear 2100 processor are already in development; smartwatches are expected to be commercially available in the second half of this year." This suggests that we will see launches at MWC in time for releases by the end of 2016. A prime candidate is Huawei which launched its Watch at MWC last year and only updated it with new sparkly Elegant and Jewel styles at CES. Check back: Huawei's MWC press conference is at 14.00 CET/ 13.00 GMT on Sunday 21 February. The HTC smartwatch rumours continue to rumble and the latest murmurs point towards an Android Wear device, dubbed the HTC One Watch, going on sale in April. The rumour mill is cooking up murmurs of an all-round display, as per the Huawei Watch, with a 360 x 360 resolution. Check back: There's no event scheduled from HTC so far, so we'll have to wait and see. One nailed on smartwatch launch for MWC is the HaierWatch from - yes - the Chinese home appliance company. It is described as a multi-function smartwatch and looks to have a Milanese Loop-style watch band. The H-Band will track activity and handle alerts about exercise, apparently, and is said to be an earpiece and a bracelet so it will probably work in a similar way to Huawei's TalkBand B2. Neither looks hugely exciting but they could at least be affordable. Check back: Haier will be showing off its new range of wearables at MWC from Monday 22 February alongside its Voyage smartphones. Geneva-based wearable tech startup MyKronoz is bringing three new smartwatches to MWC, having reportedly sold over one million wearables already. ZeRound is a fairly standard smartwatch for iOS and Android, ZeSport is an activity and heart rate monitoring sports watch (plus GPS). The most promising device, ZeKid, is a kid friendly smartwatch with an SOS button, embedded SIM, geofencing alerts and "body detection alerts" whatever they are. All will launch this spring/summer. Check back: MyKronoz will be showing off its new smartwatches from Monday 22 February at MWC.